But- but Pip actually had his own episode, made many appearances and had been a secondary character even before South Park began! mario88 wrote: just out of sheer curiosity, why some of you are so interested in seeing Pip agin? I mean, maybe i missed it, but i don't see such a thread for a much more relevant character like Chef was. Probably because we all know deep inside Chef will probably return one day. He has the potential of being Darth Chef and even appeared in the South Park Stick of Truth game. Big-Will wrote: It's also pointed out there that she had different sets of parents throughout the show's run, so this is not a mere case of renaming. Thus, Marcy and Heidi are two unique, different girls. But to avoid confusion, they're put together on the same page. Also, Marcy didn't have a last name when she appeared in Season 4, and nor did her parents. "Turner" cannot be applied to them retroactively. This was a tricky one to deal with. As far as the actual writing team is concerned, yeah, Marcy is just another generic girl in town, probably picked from the crowd by the animation team, as were her parents, generic background characters at that point. They've all appeared elsewhere. The later introduction of Heidi Turner and her family are virtually a separate set of characters, and I doubt Trey has any memory of Marcy's existence, and unless he's read our work here, I doubt he'd ever make a connection... I'd argue it's questionable if Trey's even taken any of Heidi's character history prior to the current season into consideration. There's a few reasons they're treated as one character on the same page, and of course, chief among them is avoiding redundancy, as well as the fact a lot of those details were added before her character was developed further this season. 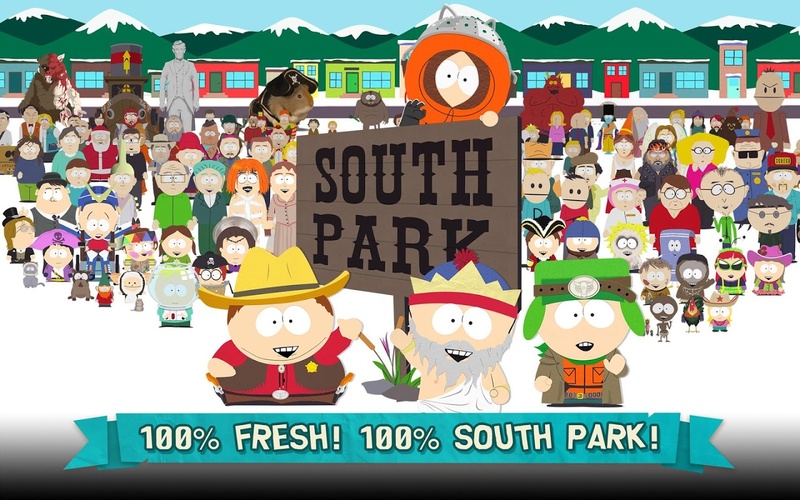 Due to the nature of South Park's writing though, which is usually focused pretty squarely on the story development of the episode/season, not the whole, being able to synthesize disparate details into a cohesive picture is often part of the process of creating and illustrating who these characters really are in the broader context of the show's universe. Would be a fun twist for Cartman and Heidi's relationship if 'Marcy' became part of her past though. Big-Will wrote: Still, Lorraine and Lisa are... two unique, different girls. But to avoid confusion, they're put together on the same page. I treat this particular example as a name retcon, in the same way Christopher and Stephen Stotch are one character, with no explanation for the former, but we don't treat them as different characters. 'Lisa' could be a nickname since 'Lorraine' is a little awkward of a name. I don't see a conflict besides the name itself. I'm not especially interested in Chef coming back at this stage because Isaac Hayes is deceased, and thus can't provide his voice in any capacity. Using the old voice files couldn't sustain the character and 'Darth Chef' makes for a cool design but again, isn't sustaining long-term. I would be totally fine if Chef camoed in Hell or something for a second, and his role in South Park: The Stick of Truth was pretty amazing, but I wouldn't want him forced back. Pip has always had a small but vocal fanbase in the community, and there were a lot of people who wanted him to return to having a speaking role before he was killed off properly, including myself. He definitely has a lot in common with Butters, but "Two Guys Naked in a Hot Tub" shows they can co-exist. by the way, if you guys think about the absolutely random and gratuitous way Pip died, it's almost like trey and matt simply wanted him dead. mario88 wrote: by the way, if you guys think about the absolutely random and gratuitous way Pip died, it's almost like trey and matt simply wanted him dead. Wasn't that obvious? After "Great Expectations" (Season 4) he disappeared from the show for 10 years, only appearing once in Episode 606 - "Professor Chaos." Matt and Trey are on the record as saying they hated Charles Dickens, so you know they hated his work, including Great Expectations, in which Pip is the main character. They gave Pip his own episode to send him away, but people wouldn't let go, so Matt and Trey got Mecha-Streisand to crush him under her feet, making absolutely clear there's no way he's coming back. If people wanna make fan fics about him, they don't care, but don't hold your breath waiting for him to come back from the dead on the show. The difference here is that Lorraine and Lisa didn't switch names like Chris and Stephen did. Lorraine only appeared once and never again, while for a couple of years Trey would switch between Chris and Stephen before settling on Stephen. If Lisa Berger comes back as Lorraine Berger in the future, then there's no difference. Lisa is short for Elisabeth. Big-Will wrote: Wasn't that obvious? After "Great Expectations" (Season 4) he disappeared from the show for 10 years, only appearing once in Episode 606 - "Professor Chaos." Matt and Trey are on the record as saying they hated Charles Dickens, so you know they hated his work, including Great Expectations, in which Pip is the main character. They gave Pip his own episode to send him away, but people wouldn't let go, so Matt and Trey got Mecha-Streisand to crush him under her feet, making absolutely clear there's no way he's coming back. If people wanna make fan fics about him, they don't care, but don't hold your breath waiting for him to come back from the dead on the show. I personally couldn't care less about Pip. I would find it stupid if he came back to life, but now that I know for sure that Matt and Trey didn't like him, I am also sure it won't happen. Which is good for the continuity of the show. On a side note, Charles Dickens's books are terrible, so I agree on their dislike for him. I mean, he's dead... There's no way he can come back unless they do something super cheesy like time travel back to save him or clone his corpse or I don't know. I was never a huge fan of Pip, but I would really enjoy seeing some old characters from the early seasons in the newer ones. So I would still be in favor of getting Pip back, yes. For example, Chef could've played a perfect role in "You're not Yelping". He is a character willing to stand up for himself after all. It would've been perfect seeing Pip react to PC Principal, staying calm the whole time while PC Principal freaked out! ManBearChris wrote: I mean, he's dead... There's no way he can come back unless they do something super cheesy like time travel back to save him or clone his corpse or I don't know. I was never a huge fan of Pip, but I would really enjoy seeing some old characters from the early seasons in the newer ones. So I would still be in favor of getting Pip back, yes. Actually there are characters revived; celebrities. Britney Spears died by everyone taking flash photography of her all the time, she returned in 200 without a speaking part. Bruce Jenner (Later known as Caitlyn Jenner) was killed in Scrotie McBoogerballs along with Kim Kardashian, but both came back later on. The rest of the Kardashian family returns too despite being murdered. I'm sure he will be dug up when the class visits London! I really hope Pip appears in the new android app! It would be fascinating to see him along with Damien (Satan's son), Gregory (make some use of the sword), Christophe (hates god) again along with others! Gary - Mormon attacks? Eric Cartman is Buddha while Wendy is an angel! Don't see PC Principal, David Rodriguez, Kevin Stoley, or Freja Ollegard anywhere in that picture, even though she's dead but she should of been the main villain of Season 20. I would love to see Pip back! He was one of my favorite characters and honestly we need more French and British stuff going on, and I really enjoyed his presence! He deserved better, and his death was really heartbreaking even though it wasn't officially canon? I would also ask if Damien would also make a cameo because he was also an interesting character and I enjoyed him so much!